It is written that knowing this first, that no prophecy of the scripture is of any private interpretation. This phrase is certainly worthy of discussion. Pursuant to this phrase, no prophecy of the scripture is of any private interpretation. This rules out any private interpretation, including the Pope’s (or the charismatic leader of any Reformed or Protestant group), any committee of Cardinals, Elders, Presbyters, etc. ), the Sanhedrin, the Pharisees, this Rabbi or that Rabbi, this commentator and that commentator, and any given congregational view. I remind you that the Pope holds his position pursuant to a vote of the Cardinals. Therefore, his opinion is merely the private opinion of someone who is elected by a group of someones, all of whom hold private opinions. In fact, no opinion of a man, or men in the collective, can be anything other than private opinion. Therefore, the phrase in its plain meaning is that prophecy must be subject to its iteration and reiteration within other uttered prophecies, which then constitute the testimony of two or more witnesses within scripture itself. In order that scripture not be of a private interpretation, is must be interpreted solely within scripture itself. And I saw when the Lamb opened one of the seals, and I heard, as it were the noise of thunder, one of the four living creatures saying, Come and see. 2 And I saw, and behold a white horse: and he that sat on him had a bow; and a crown was given unto him: and he went forth conquering, and to conquer. 3 And when he had opened the second seal, I heard the second beast say, Come and see. 4 And there went out another horse that was red: and power was given to him that sat thereon to take peace from the earth, and that they should kill one another: and there was given unto him a great sword. 5 And when he had opened the third seal, I heard the third beast say, Come and see. And I beheld, and lo a black horse; and he that sat on him had a pair of balances in his hand. 6 And I heard a voice in the midst of the four living creatures say, A measure of wheat for a penny, and three measures of barley for a penny; and see you hurt not the את eth-oil and the את eth-wine. 7 And when he had opened the fourth seal, I heard the voice of the fourth beast say, Come and see. 8 And I looked, and behold a green horse: and his name that sat on him was Death, and She’ol followed with him. And power was given unto them over the fourth part of the earth, to kill with sword, and with hunger, and with death, and with the beasts of the earth. There we have it – four horsemen: white, red, black and green. For those of you who are stuck on the word pale as the color of the fourth horse, consider the Greek word that appears in the Stephanus Textus Receptus and see what is there. And I looked, and behold a green (χλωρος – chloros) horse (ιππος hippos): and his name that sat on him was Death (θανατος thanatos), and Hell (Αδης Hadace) followed with him. The Greek word χλωρος chloros means greenish, i.e. verdant, dun-colored. (See Strong’s 5515). AND I turned, and lifted up mine eyes, and looked, and, behold, there came four chariots out from between two mountains; and the mountains were mountains of brass. 2 In the first chariot were red horses (אָדֹם 'adom: rosy:—red, ruddy); and in the second chariot black horses (שָׁחֹר shachor; dusky, jetty:—black); 3 And in the third chariot white horses (לָבָן laban; white); and in the fourth chariot grisled (בְּרֻדִּים barod; spotted (as if with hail) and strong (ֹ אֲמֻצִּים'amots; strong) horses. One of the chief difficulties in discussing the book of Revelation (Chizayon) has to do with the argument whether Chizayon was originally written in Hebrew or its derivative Aramaic, or Greek. To illustrate this difficulty, consider this word chloros being interpreted as pale, rather than green, and the Hebrew word which may have been there instead, which would have been yereq (in the modern Hebrew, yaroq). Yereq means the yellowish green of young and sickly vegetation; concretely, verdure, i.e. grass or vegetation. It is easy to see that the plain meaning of the Greek for chloros is simply green, while the Hebrew word yereq gives us a yellowish green common to young and sickly vegetation – kind of a putrid green, which may be interpreted as pale. Was Chizayon originally written in Hebrew? Again, rebuking the notion of private interpretation, we have two witnesses within the Cepher Chizayon alone. And they had a king over them, which is the angel of the bottomless pit, whose name in the Ivriyt tongue (Hebrew) is Abaddon, but in the Greek tongue has his name Apollyon. And he gathered them together into a place called in the Ivriyt tongue (Hebrew) Armageddon. If in fact it was written in Hebrew, then the Greek interpreter would face the same problem as the English interpreters hundreds of years later in discovering the color of the fourth horse in Zakaryahu 6, wrestling with the words בְּרֻדִּים barod and אֲמֻצִּים amots, as neither of these appear to be a color. Someone, at some point, determined that pale or green was the best alternative to whatever word existed in the original Hebrew. We see, then, the kinds of problems that arise in translations. Then I answered and said unto the angel that talked with me, What are these, my lord? 5 And the angel answered and said unto me, These are the four spirits of the heavens, which go forth from standing before ADONAI of all the earth. It is reasonable to conclude that the horses found in Zakaryahu are the same as the horses found in Chizayon, is it not? If so, then these are the four RUACH’OTH of the heavens! The black horses which are therein go forth into the north country; and the white go forth after them; and the grisled go forth toward the south country. 7 And the strong went forth, and sought to go that they might walk to and fro through the earth: and he said, Get you hence, walk to and fro through the earth. So they walked to and fro through the earth. 8 Then cried he upon me, and spoke unto me, saying, Behold, these that go toward the north country have quieted my spirit in the north country. So, now I challenge you, you disciples of Paul, who choose to ignore MASHIACH and his spirit of prophecy, to search the scriptures and find the second witness to every proposition set forth therein. When you review the doctrines upon which you rely in the walking out of your faith, challenge them not against the private interpretation of your mentor, but the words of scripture themselves. 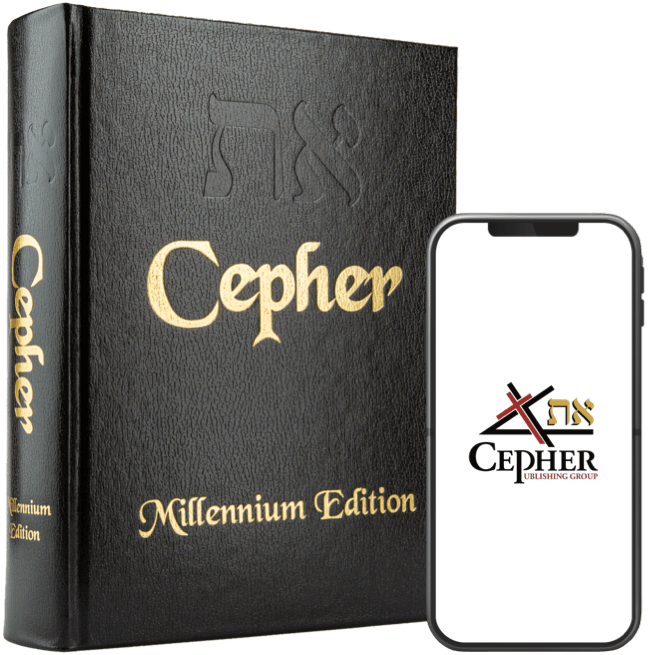 For purposes of this challenge, I offer to you the Eth Cepher and its 87 books – it is worthy to seek these generous books to build your own doctrine. If you can’t find a second witness . . . I pray you do not rely upon a private interpretation or the doctrines of men and their non-scriptural edicts to make conclusions concerning your faith, but seek the witness in spirit and truth.